Tis the Season for Christmas trees, luminarias, nutcrackers, egg nog and holiday lights! 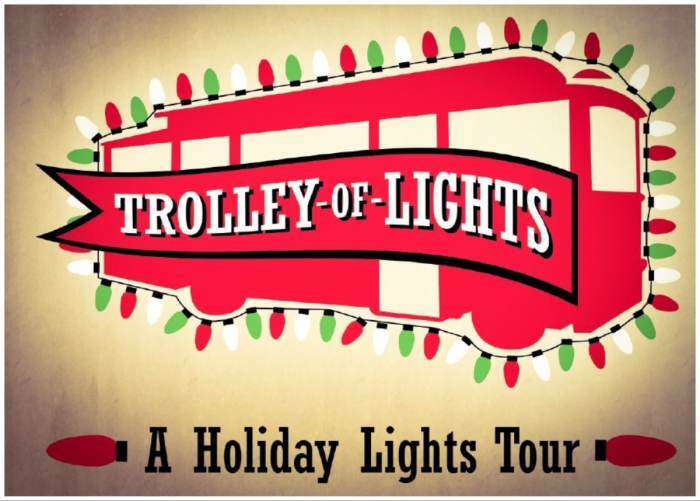 ABQ Trolley Co. presents: Trolley of Lights - a holiday lights tour! Join ABQ Trolley Co. December 17th-24th as we head out to see Albuquerque's holiday lights aglow. The Trolley of Lights departs from Hotel Albuquerque at Old Town. Tours last approximately 75-minutes. December evenings in Albuquerque are quite brisk; please dress for 30 degree weather as we will be riding in an open sleigh, er Trolley (blankets, long underwear, mittens, knit caps, wool socks, etc will be necessary). NOTE: There are no refunds for tickets. Due to the high demand for these tickets, there will not be any refunds for anyone who misses the tour. By the time the tours are upon us, we've turned down many riders who are interested in joining us because the tours are "sold out." Having a rider cancel the week of or the day of does not give us enough time to resell that ticket. Tickets are fully transferable. Thank you for your understanding.